Written by collegiate coaches Josh Eberly and Kevin Giesen for ATRA’s Winter Trail Times Newsletter. 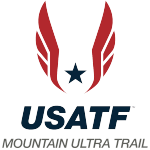 The Western State Colorado University Mountain Sports – Trail Team celebrated its fifth year in 2016, with Josh Eberly at the helm as head coach the past two years assisted by Bill Hibdon. Learn about the program from Eberly and one of his athletes, junior Kevin Giesen. The Mountain Sports program was developed off of the Club Sports model for Universities. For the first few years, the program ran just like a “small club,” with some students showing up here and there. Two years ago Dave Wiens, Director of Mountain Sports, and Duncan Callahan, Assistant Director of Mountain Sports, and Gary Pierson, VP of Student Affairs, decided to really push for more structure. Collectively, the group held meetings with a focus on where they envisioned the program in the future, and detailed the proper steps on how to get there. Coach Josh Eberly hits the trail. We all soon realized, that we had something special going on…more than just a club. It was an “alternative” to NCAA athletics — with NO boundaries! We were getting some stellar athletes joining the trail team. We had 7 NCAA athletes jump ship to our program. In short, they were getting too burnt out with NCAA and wanted to be rejuvenated with running once again. At Western State Colorado University, our Mountain Sports program is comprised of Snowboarding, Skiing, Mountain Biking and Trail Running. The Trail Running Team took a HUGE step forward this year. We had 35 student athletes on the trail team roster, making it the largest group of Mountain Sport athletics. Fall is the largest season for the sport with 6-7 races on the calendar and a full-on training regimen. Races include anything from a 10k-mountain race, to a Vertical Kilometer race, and even a 100-mile endurance run. We try to be very diverse with athletes, giving them options to test the waters of Mountain, Ultra, Trail (MUT) running. As we grow, our ambitions and goals change as well. Everything we try to do, we think of the “student athlete” first. How it directly benefits them in being a better trail runner. “The Western Mountain Sports Trail Running Team has shaped who I am,” says Kevin Giesen. I ran my first half marathon and my first 100-mile race with the team. The team offers high level coaching, well-structured training, and many opportunities for racing over all distances. A typical week consists of afternoon practices Monday through Friday, and either a travel day or race on Saturday. Two weight sessions and two core sessions are also typically integrated into practice throughout the week. Usually my teammates and I run on the miles of trails surrounding campus, but about twice a week, the team drives out to Hartman Rocks, or up to Crested Butte, CO. The trails to be run in the valley are endless. My favorite run with the team this year was up past Crested Butte on the 401 Trail. The 401 is known more for its mountain biking, but with it being late in the season, we had the trail to ourselves. The 401 brings you high through the mountains winding down towards the valley floor with astonishing views of the Elk Mountains and Mt. Crested Butte. Even better than the run, was bonding with teammates afterwards eating donuts, drinking Skratch and Tailwind, and icing in a nearby stream. Throughout the season we competed in multiple races. The fall semester kicked off with The Grand Traverse run, a 40 mile run over Star Pass from Crested Butte to Aspen, CO. I was unfortunately unable to compete in this event due to injury, but several Western athletes took part with a number stacking into the top 10 of the results. The next weekend the team headed down to Ouray Colorado for the Imogene Pass run. Imogene also brings runners over a high mountain pass, this time through the San Juan Mountains from Ouray to Telluride, CO. For most of the team, this was the first race of the season. With over 5,000 feet of climb and 17 miles in distance, I think everyone got their fair share of mountain running. Flagstaff, AZ was the next stop. In Flagstaff we competed in the US Skyrunning Season Finale. The weekend consisted of a Vertical Kilometer (VK), a 39km Skyrace, and a 55km Sky Ultra. This was a completely new form of trail running for me. I competed in both the VK and the 39km, gaining over 11,000 feet during the course of the weekend. I think it’s safe to say that the VK was more of a vertical power walk, as most of the race was too steep to actually run. Many athletes were scaling the slopes on all fours. I recall Coach Eberly grabbing two sticks to use as trekking poles. The winning time was just over 48 minutes, set by Joe Gray. My teammate Gordon Gianniny put up a good time grasping third in 52 minutes. Several Western athletes competed in other races throughout the season. The finale came at two different races. One was the last weekend in October and the other, the first weekend in November. Three of the ultra-runners on the team chose to run the Javelina Jundred, while about 30 other athletes and me chose the Moab Trail Marathon in Moab, Utah as our last race. Javelina may have been one of the most inspirational races this year, as my teammate Bryan Schlinkmann ran his first sub-24 100 miler. Moab put the icing on the cake though as several of my teammates crushed it in the results, while many others set PRs for time and or distance. Running through desert canyons is always a blast. 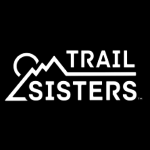 The Western Trail Running Team has not only been a great way to develop my trail running, but more so a community that has sparked many lasting friendships and some of my best memories. 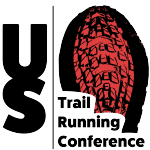 Editors Note: for information about collegiate trail running championships check out ATRA partner The Collegiate Running Association.